This Poplar table was built by a close friend of ours who helps around the shop from time to time. We had a serious windstorm a couple of years ago, and this wood is from one of the Poplar trees that fell on his land. He wanted to salvage the wood in some way, and decided to build this little sofa table. 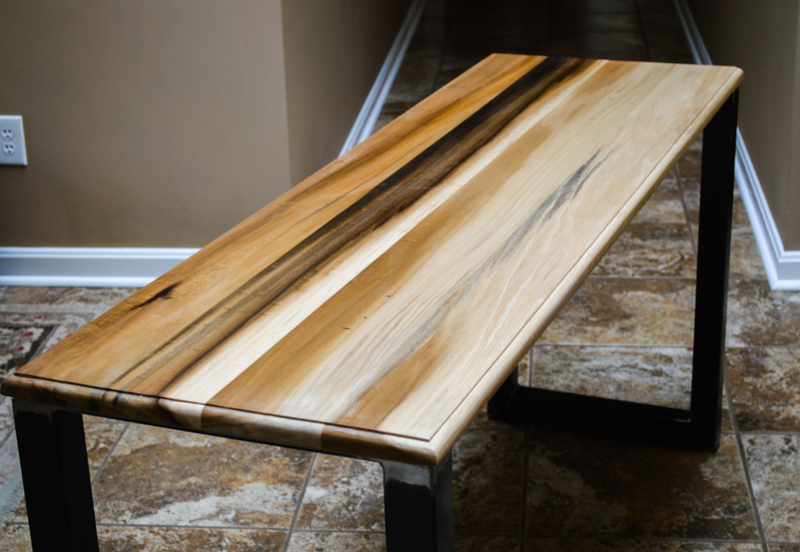 This table has incredible figure for Poplar, and would also work great for a small writing desk. The base is custom steel square tubing.